Free flow soft drinks, hot tea and coffee! Further promotions with credit card partners available. Please make a reservation at least 2 days in advance to guarantee your seat. A new month heralds an all new dinner theme to be showcased at Novotel Bangkok Platinum Pratunam! Lights, camera, action! Get ready to shine a spotlight on some serious “prawn stars”! Always beloved on hungry diner’s plates, it’s time to get ready for the year’s biggest comeback river prawn buffet promotion! During October-December, dinner time at the SQUARE is all about juicy, just grilled river prawns. 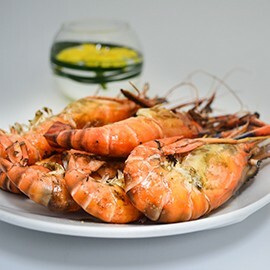 Let your mouth water and tastebuds tingle the moment you enter and catch the unmistakable scent of river prawns on an open grill! 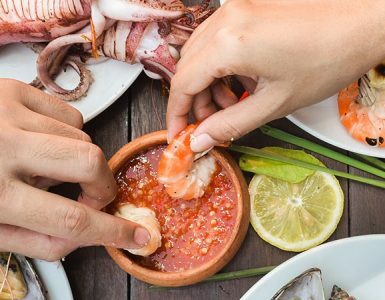 Add some of our spicy seafood sauce and it’s a highlight on a plate. Prefer your prawns another way? Try them fried teppanyaki-style with rice and vegetables! Explore the many other ways to enjoy prawn in our buffet line-up, be it dressed up in a variety of sauces, or as spicy Thai tom yum soup. Once you’re all prawned-out, there’s a variety of international dishes for you to taste! 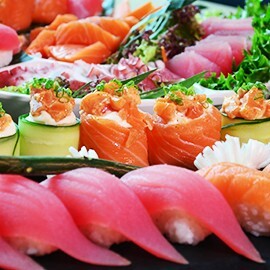 Stop by exciting live stations to add some sizzle on the spot, or choose some fresh sushi and sashimi. Feeling cheesy? Head over to the oven-fresh pizza corner and grab a slice or two. Sweets make everything better, and that includes a meal at the SQUARE! Try the daily home-made ice cream selection or any of the tempting cakes with seasonal fruit to round it off. It’s a dinner experience with something for everyone, so bring the family or even that special someone. 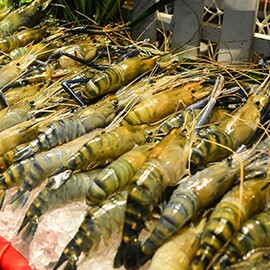 Give your daily dinners some serious star-quality when you pick your next river prawn buffet promotion spot! The SQUARE at Novotel Bangkok Platinum Pratunam is ready and waiting, every Friday-Saturday from 6:00 pm – 10:00 pm at only THB 1,900 net/person. 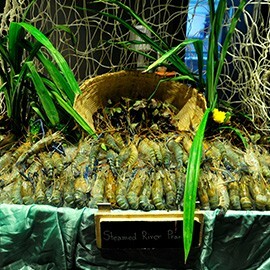 Book the River Prawn & Salmon Dinner Buffet now at the SQUARE today! Click the button above or please call 02-209-1700 ext. 8703 and see more about our promotion here.